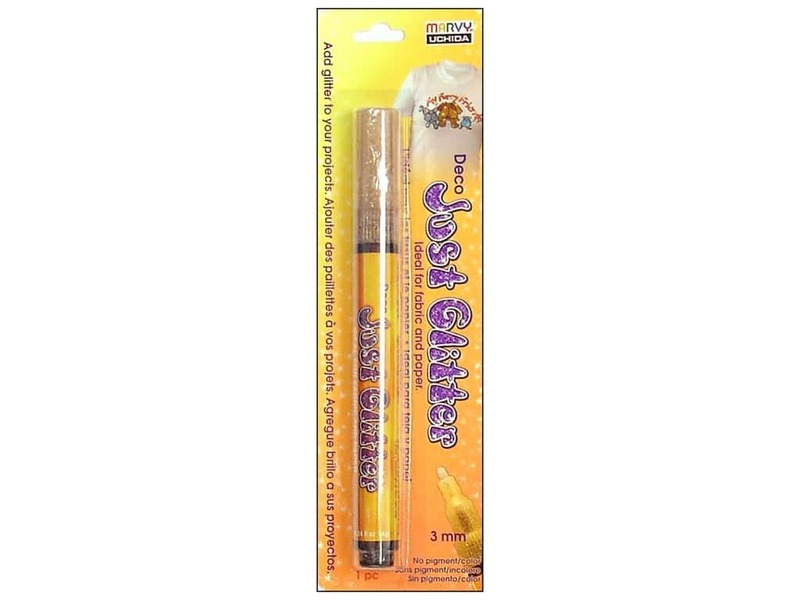 Description: Uchida Deco Just Glitter Pens are perfect for adding a touch of sparkle and shine to your craft projects. The name says it all, Just Glitter! There is no color, no paint, all you get is a fine glitter in your choice of glitter colors. Add a little sparkle to your T-shirts, aprons, backpacks, totes, sneakers, pillows, and paper crafts. It's great to use on greeting cards and scrapbook pages! Acid Free, odorless, and lightfast. 3 mm tip. Gold. See more Uchida Deco Just Glitter Pens.